Under cross-examination today, LA Unified Superintendent John Deasy faced pointed questions from attorneys representing California’s biggest teacher unions and the state in a controversial lawsuit that could turn the practice of teacher tenure on its head. At issue in the landmark case, Vergara vs. California, are five statutes that the nine students bringing the case contend protect ineffective teachers, thereby violating their constitutionally protected right to a quality education. Under less friendly questioning than earlier in the day, Deasy responded in detail to questions posed by Jim Finberg, attorney for the California Teachers Association (CTA) and the California Federation of Teachers (CFT), who attempted to chip away at the argument that the current tenure and dismissal statutes hurt students, and that removing ineffective teachers is quite possible now. Using statistics that showed the number of dismissals in LA Unified rose to 99 in 2011-2012 from 10 in 2009-2010, Deasy’s first full year as superintendent, Finberg suggested that the number of teachers offered tenure during that period decreased, reducing the number of grossly ineffective teachers who receive permanent status. Without disputing it, Deasy said the numbers only represented his recommendations to the school board for initiating a dismissal process. Susan Carson, a supervising deputy state attorney general, arguing on behalf of the state, took up the questioning later about the timetable to determine whether a teacher is ineffective. Despite her suggestions that one year is sufficient to identify an ineffective teacher, Deasy countered that too many factors are involved to draw a conclusion after such a short time. In California, teachers are typically awarded tenure after 18 months. Earlier in the day, under more friendly questioning from Marcellus McRae, representing the students, Deasy told the court that the cost of dismissing a “grossly ineffective teacher” can sometimes reach into the millions of dollars, impacting decisions as to whether to appeal a dismissal or leave a teacher in the classroom. He also said the time it takes to build a case against an ineffective teacher, however lengthy, results in leaving students with ineffective teachers. When questioned whether leaving incompetent teachers in the system harms the morale of the profession, Deasy said: “Morale is absolutely affected,” adding that teachers don’t want to be on teams with incompetent teachers. Deasy also testified that the seniority statute, know as LIFO for “Last in, first out,” which favors seniority when layoffs are required, is harmful to both students and teachers. He said seniority does not always reflect teacher effectiveness and seniority-based layoffs work against the best interest of students. When asked whether the seniority statute was necessary to recruit excellent teachers, Deasy said it has, in fact, the opposite effect. Teachers find it “unattractive,” he said, to come into a system where job competence is not considered when layoffs are required. 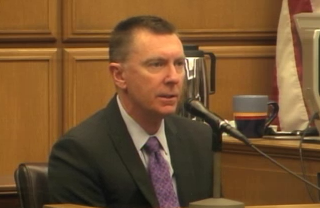 Deasy returns to the stand tomorrow, presumably to finish his cross-examination. He’ll be followed to the stand by Harvard economist Nadarajan (Raj) Chetty. Previous Posts: Commentary: An effective teacher in every California classroom; Vergara suit on teacher dismissal opens, courtroom packed; Vergara trial set to begin: major test for CA teachers.